A Full-Stack Web Developer is someone who is able to work on both the front-end and back-end of an application. Front-end generally refers to the part of an application the user will see or interact with, and the back-end is the part of the application that handles the logic, database interactions, user authentication, server configuration, etc. 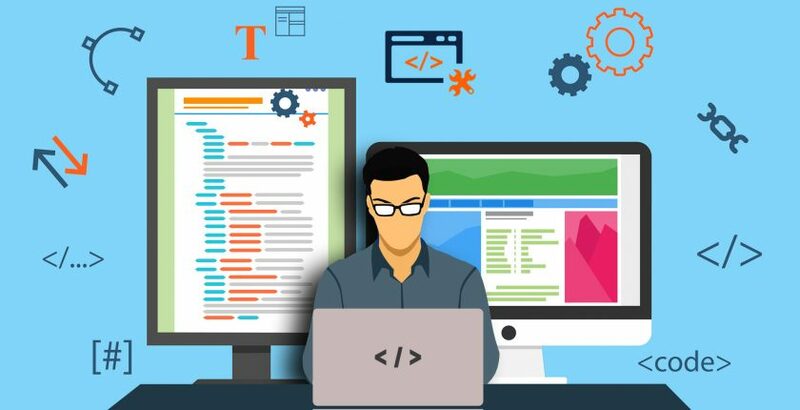 A Full-Stack Developer need not have necessarily mastered all the aspects of front-end or back-end development, but he/she will be able to work comfortably with both front-end and back-end and have a deep understanding of what is going on when building an application. HTML & CSS – HTML and CSS are the building blocks of the web. Simply put, HTML allows you to add content and provides structure to a website and CSS is what allows you to style your content. Learn to modularize and properly structure the code. Knowing what REST and why is it important. Following the best practices while building a REST API like – corresponding POST to Create, Get to Read, PATCH to Update and DELETE to Destroy. GIT & Postman -Git is a version control system that allows you are a developer working individually or on a team to keep track of all the changes being made to a codebase. It’s important to know a few important things related to Git so that you understand how to properly get the latest code that you’ve missed, update parts of the code, make fixes, and change other people’s code without breaking things.Developers use Postman to build modern software for the API-first world.